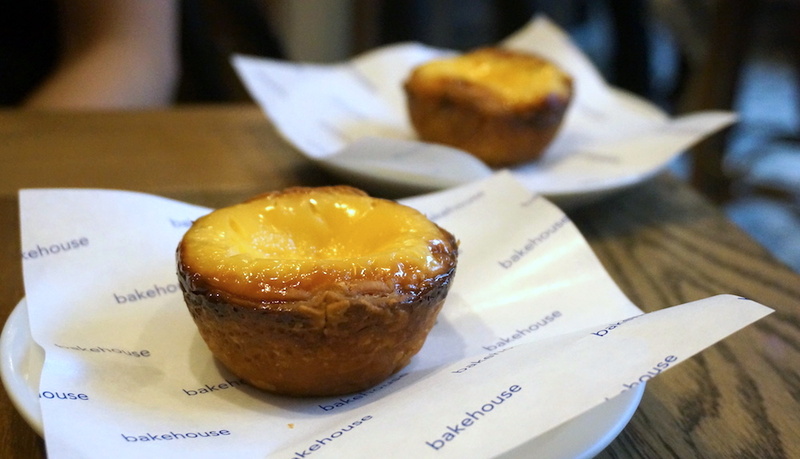 Finally, the clouds parted, the angels sang and the dessert gods rained sugar and butter from the sky as Bakehouse – Gregoire’s lovely bakery-café in Wan Chai – opened early last year. 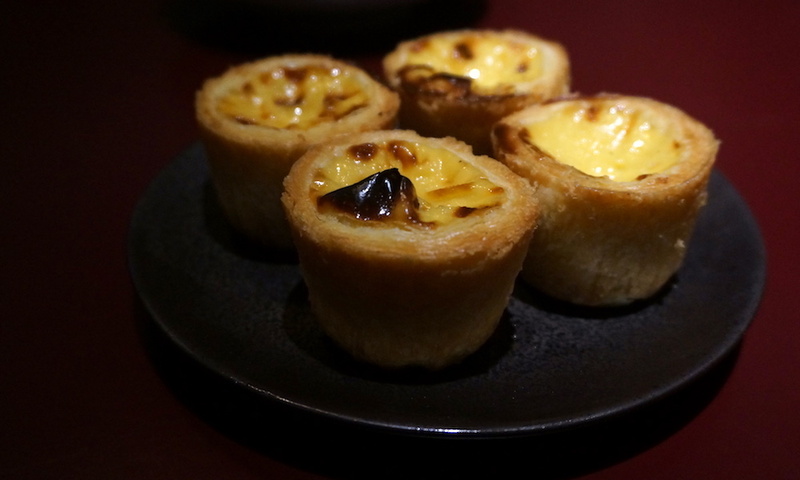 In all honesty, I could select anything from here as one of my 2018 favourites, but you’re getting their divine sourdough egg tarts because that’s what I happen to have a photo of – gorgeous golden eggy custard with the sexiest of glossy wobbles, encased in a flaky shell that has just the right amount of bite. But I also love their pain au chocolats, their strawberry croissants, their chocolate tarts, their cruffins, their doughnuts, their Danish pastries, their cookies… you get the picture. Arbor was probably my favourite new restaurant of 2018, and part of that was because of how exquisite their desserts are. Their chef Eric Räty is sickeningly talented and is that rare unicorn in the world of fine dining – a head chef who pulls double duty as pastry chef, and is seemingly equally brilliant at that. I love his tofu dessert, a wonderfully creative and refined play on traditional Chinese flavours – soy milk ice cream, thin sheets of yuba bean curd skin, salted egg yolk crumble and black beans glazed in Kowloon Soy sauce. 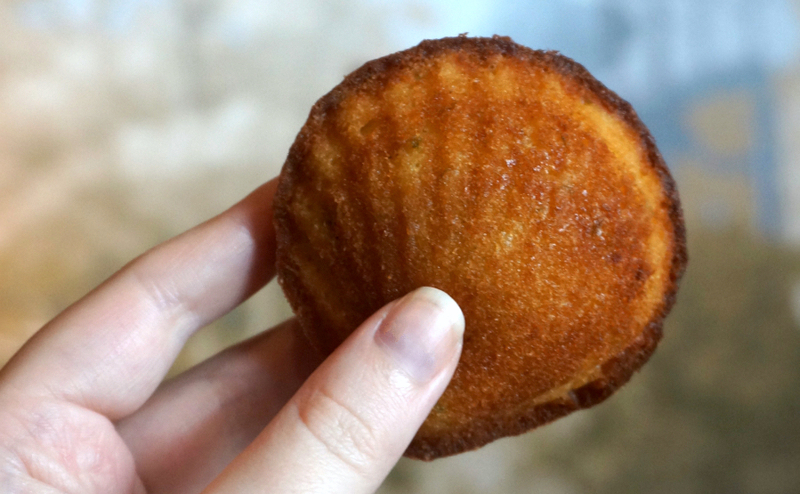 However, just for the sheer, pure beauty of their simplicity, I have to give my vote to Eric’s madeleines. Fresh out the oven, slight crunch on the outside, invitingly warm and soft within, with the merest delicate twist of citrus to lift up all that buttery goodness. Remember to save room for these at the end of the meal, or repent at leisure. For the past few years now, Hong Kong Tatler Dining has been running events featuring culinary crossovers between some of the city’s best chefs, celebrating local cuisine. 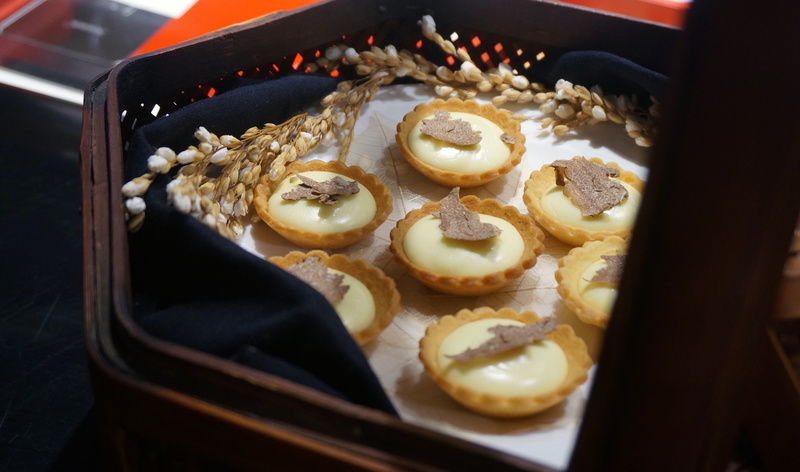 The first year was based around dim sum and this year, the theme was “Hong Kong Memories”, which is where the slam-dunk of this earth-shatteringly perfect egg tart comes in. 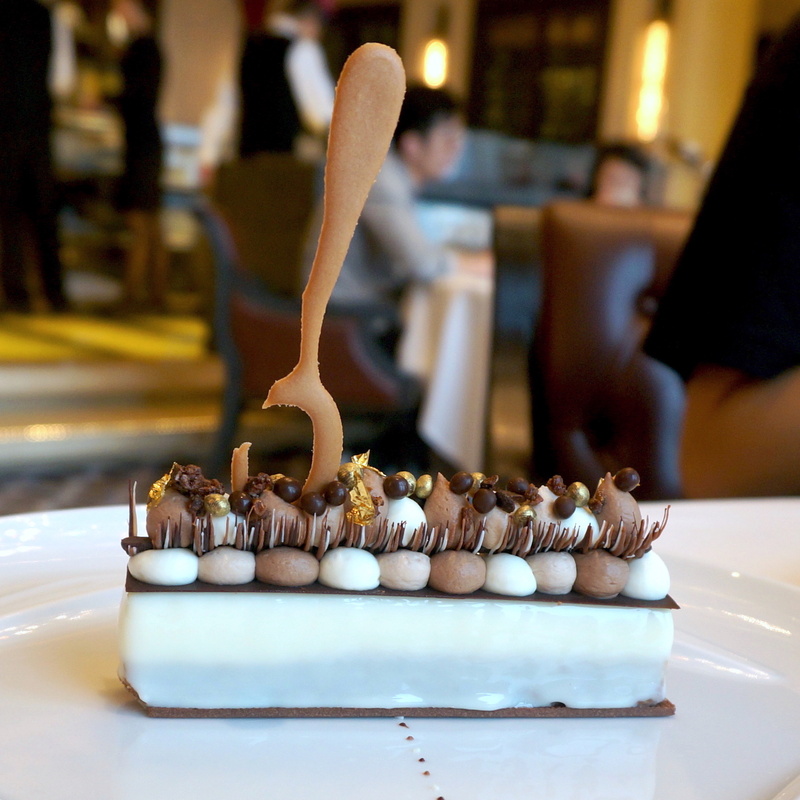 Created by Joanna Yuen, the pastry chef at Nobu in the InterContinental Hong Kong, words simply don’t do this beauty justice. The pastry was SO short, SO buttery, SO delicate (I’m still in mourning for the number that got accidentally crushed by people who underestimated their fragility); the gloriously indulgent Parmesan egg custard filling held together long enough to look enticingly stunning before spilling into warm gooey molten indulgence once bitten; the single flake of white truffle, for once not superfluously tacked on for Instagram fame, but there to actually enhance those beauteous rich flavours even more. I lost count of how many of these I swooped up on the night, and I have absolutely no shame that I may have gipped others out of their share – being a greedy, grabby cow was never more justified. By the way, I have no idea if Joanna is currently serving these at Nobu… but now’s the time to start the campaign if she isn’t! 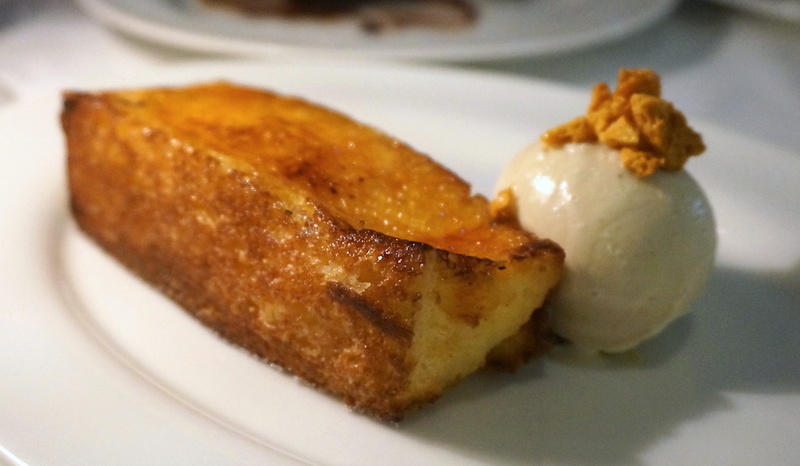 I’m a sucker for a good French toast, and La Petite Maison’s is one of the best I’ve had in recent memory – especially fitting as the French toast that made last year’s dessert rundown no longer exists in Hong Kong, as Terroir Parisien closed down this year. OK, I’m aware this list has taken on a weirdly egg focused leaning this year, but screw variety, because these egg tarts were also awesome. John Anthony is Maximal Concepts’ latest venture, a modern Chinese that’s like the funky younger sister of Mott 32, with utterly gorgeous interiors that are somehow more Wes Anderson than an actual Wes Anderson film. I didn’t feel it was fair to taunt you by putting desserts you could no longer have in Hong Kong on here, but it didn’t feel right doing my annual round-up without mentioning for one last time all-time ultimate dessert bae Nicolas Lambert, the former pastry chef at Caprice in Four Seasons Hong Kong and stalwart of my dessert lists since his arrival here. 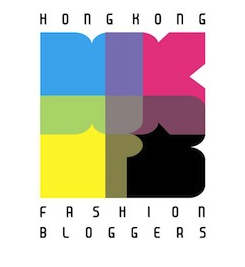 This entry was posted in Food and tagged Arbor, Arbor Hong Kong, Bakehouse, Bakehouse Hong Kong, best desserts Hong Kong, best desserts in Hong Kong, best egg tarts in Hong Kong, best French toast in Hong Kong, best madeleines in Hong Kong, best pain perdu in Hong Kong, best pastel de nata in Hong Kong, Caprice, Caprice Hong Kong, desserts, desserts Hong Kong, Eric Raty, Four Seasons Hong Kong, Gregoire Michaud, Joanna Yuen, John Anthony, John Anthony Hong Kong, La Petite Maison, La Petite Maison Hong Kong, Nicolas Lambert, Nobu, Nobu Hong Kong, pain perdu, pastel de nata, patisserie, Saito Chu, sourdough egg tart, The Intercontinental Hong Kong, top 5 desserts Hong Kong, top desserts Hong Kong. Bookmark the permalink.